Fabulous Since 1961: Young and Innocent. Sorting through things...how do I still have so much ephemera after moving 4 times in 6 years? I'm going through a box of stuff collected since I was a kid, and came across this menu from a state dinner I attended. 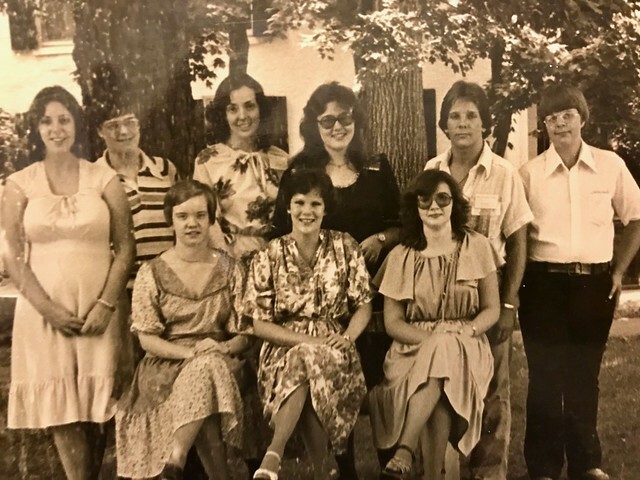 A group of us high schoolers were attending a two week journalism class at EKU during the summer of 1978. 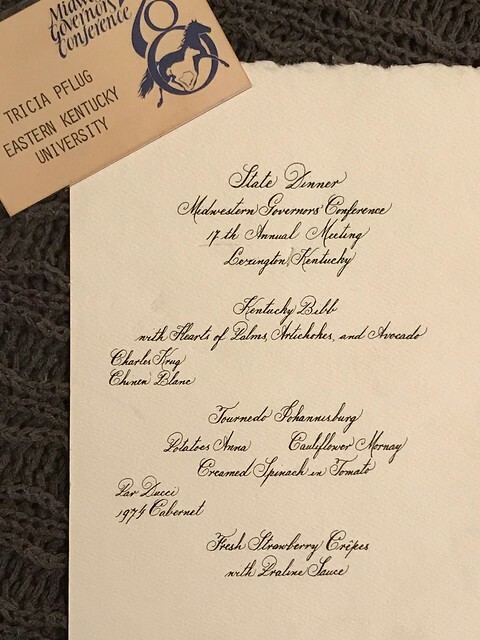 Somehow, the professor teaching it, wrangled tickets for us to go to this Midwestern Governors dinner in Lexington. Here's what I remember about it. I ate caviar at the cocktail hour and didn't care for it, now knowing that it was very cheap caviar. I tried to use a secure phone line and got a talking to by secret service. I then thought it would be a fun idea to act suspicious the rest of the night to give the secret service guys something to do. In today's world I probably would have been taken to the pokey. The dinner itself is a bit of a blur, because I sat next to the professor and he kept pouring me glass after glass of wine. Back then I thought he must be really cool. Now I know he was being really creepy. The other thing I remember is the dress I wore in this photo. My favorite dress ever. 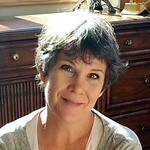 It was a super soft brushed cotton, with flowers in plums and lavenders on it with mossy green leaves. I wonder what happened to it, because it brought me joy. Geez. I probably still have that photo too. I don't remember any details about that dinner and definitely don't have the menu. I remember bits and pieces about that 2 weeks, mostly as a good experience away from home.